Palestine Music Expo (PMX) is a three-day music showcase that takes place annually in Ramallah. Each year, PMX showcases established and rising Palestinian artists to local audiences and delegates from the international music industry. These include representatives from record companies, booking agencies, music supervisors, festival promoters and music journalists. In addition to the music showcases, PMX also organizes specialist panel discussions and workshops where local artists can learn from and connect with experts in industry related issues like getting an agent, understanding copyright law, and starting a record label. 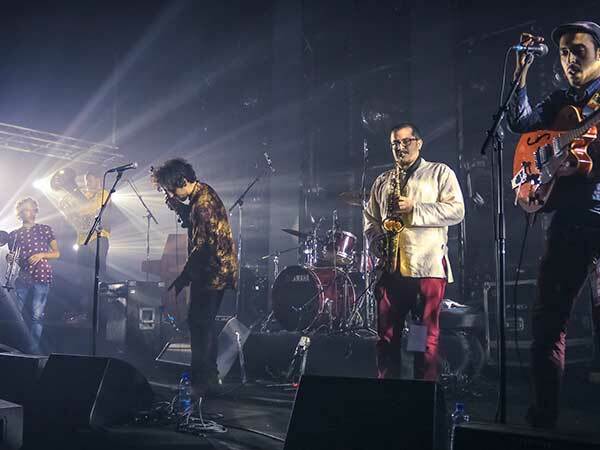 The Expo showcases both established and upcoming Palestinian artists to local audiences and key members of the international music industry. These include record companies, booking agencies, music supervisors, festivals promoters and Media. 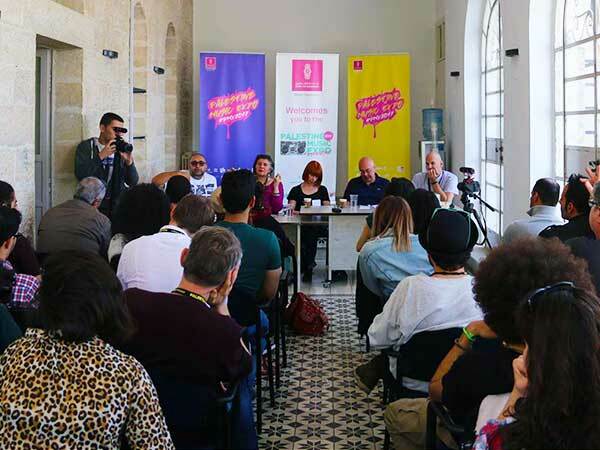 Over the course of three days, Palestine Music Expo will hold workshops, educational events and panels for musicians in Ramallah, led by our delegates and music industry professionals. Palestine Music Expo provides valuable and unique networking opportunities for Palestinian artists by connecting artists with music industry professionals from around the world. Every night Palestine Music Expo showcases Palestine’s top talent at Grand Park Ramallah. Showcases and performances are open to the public. Get your tickets today. "This is the most significant and important initiative that I've seen come to Palestine in the past 10 years." Special thank you to our partners and sponsors! We couldn’t have done this without you.